Today President Obama travelled to Wayne and Paterson, New Jersey to tour areas damaged by Hurricane Irene. While visiting the Temple Street Bridge in Paterson, the President gave brief remarks reassuring the people of New Jersey and all those affected by Hurricane Irene that the federal, state and local governments would be there to help them rebuild after the devastating storm. The main message that I have for all the residents not only of New Jersey but all those communities that have been affected by flooding, by the destruction that occurred as a consequence of Hurricane Irene is that the entire country is behind you and we are going to make sure that we provide all the resources that are necessary in order to help these communities rebuild. And I know that there’s been some talk about whether there’s going to be a slowdown in getting funding out here, emergency relief. 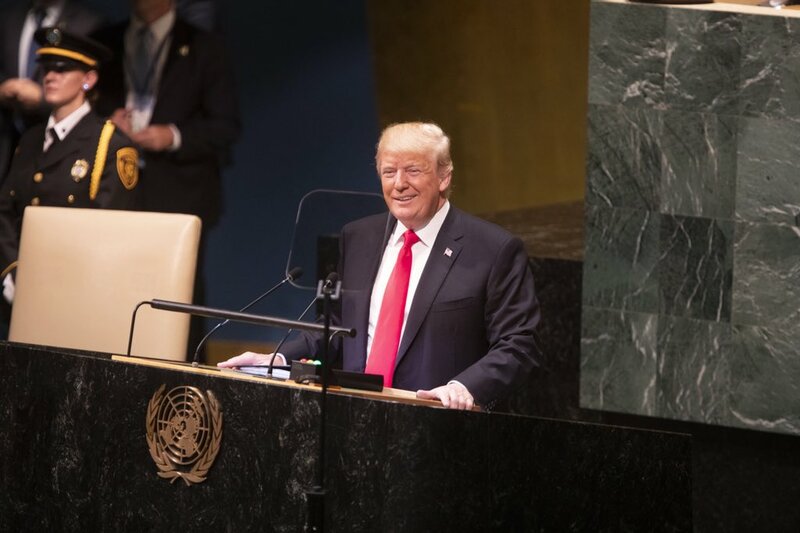 As President of the United States, I want to make it very clear that we are going to meet our federal obligations — because we’re one country, and when one part of the country gets affected, whether it’s a tornado in Joplin, Missouri, or a hurricane that affects the Eastern Seaboard, then we come together as one country and we make sure that everybody gets the help that they need. And the last thing that the residents here of Paterson or the residents of Vermont or the residents of upstate New York need is Washington politics getting in the way of us making sure that we are doing what we can to help communities that have been badly affected. So, again, I want to thank federal, state, local officials who have been working around the clock to respond to this crisis. We know it could have been worse but we should not underestimate the heartache that’s going through a lot of these communities and affecting a lot of these families. And we want to make sure that we’re there to help, and I’m going to make sure that even after the cameras are gone and attention is somewhere else that FEMA and federal officials continue to work with our local officials to make sure we’re doing the right thing. THE PRESIDENT: Well, obviously visiting Wayne, visiting Paterson, many of these surrounding communities, gives you a sense of the devastation that’s taken place not only here in New Jersey but in upstate New York and Vermont and a whole range of states that were affected by Hurricane Irene. I want to thank Governor Christie, Mayor Jones, the entire congressional delegation that has coordinated in an unprecedented way to try to deal with this crisis. And part of what I think has helped to avert even worse tragedies and greater loss of life is because of the extraordinary responsiveness and farsighted thinking of state, local and federal personnel. I’m very proud of the work that FEMA has done not only from our central agency but, more importantly, the folks locally here on the ground who have been coordinating with the emergency management teams here in New Jersey. I want to thank the Red Cross for their extraordinary responsiveness. We’ve seen a huge outpouring of volunteers; the private sector is getting involved in trying to do what they can to help the communities that have been hard hit. THE PRESIDENT: We’re going to make sure resources are here. All right? Hurricane Irene: The storm may have passed, but the recovery is just beginning. Irene caused severe flooding throughout the Northeast. As cities and towns along the East coast continue assessing damage, President Obama also reflected on the six year anniversary of Hurricane Katrina. We the People: This week Whitehouse.gov announced our most recent initiative: We the People will bring significant change to how the public can engage with the White House online. This new tool enables people to easily start a petition; once a petition garners enough support, it will be reviewed by White House policy officials. Council of Economic Advisers: On Monday in the Rose Garden, President Obama announced his intention to nominate Alan B. Krueger to lead the Council of Economic Advisers (CEA). As one of the nation’s leading economists, Dr. Krueger will bring decades of experience, including a stint as chief economist at the Treasury Department, and a wealth of knowledge to the challenge of creating jobs and promoting economic growth. American Legion Conference: Speaking before the American Legion National Convention in Minneapolis on Tuesday, President Obama said that America’s military is the best it’s ever been, and celebrated the contributions of the post 9/11 generation, who have changed the way America fights and wins our wars. Surface Transportation Act: On Wednesday, President Obama spoke on the South Lawn urging Congress to pass a clean extension of key transportation programs as soon as possible. If Congress doesn’t act, the nation’s surface transportation program will expire at the end of September. This provides funding for highway construction, bridge repair, mass transit systems and other essential projects that keep our people and our commerce moving quickly and safely. When the law expires, those projects will shut down, taking precious jobs with them. Double Feature: This week on West Wing Week we follow Vice President Biden on his trip to Asia. Meanwhile, President Obama led the federal response to Hurricane Irene, made a key nomination announcement, and addressed the American Legion’s 93rd annual conference. Irene downgraded to tropical storm: The National Weather Service downgraded Irene to a tropical storm as the system made landfall over Coney Island in New York. The storm is maintaining winds up to 65 mph. More than 1 million without power in Mid-Atlantic region: More than a million homes and businesses in the Mid-Atlantic region were still out of power or phone service early Sunday as heavy wind and rain from Hurricane Irene battered the Washington area. In Virginia and North Carolina, Dominion Resources reported more than 1 million outages, including about 124,000 in northern Virginia as of 4:30 a.m. Power companies reported more than 600,000 outages in Maryland and more than 25,000 in D.C. The number of outages in Virginia “exceeded our expectations,” a Dominion Power official said. “First, let me say that this is a storm that has claimed lives. Our thoughts and prayers are with those who’ve lost loved ones and those whose lives have been affected by the storm. You need to know that America will be with you in your hour of need. While the storm has weakened as it moves north, it remains a dangerous storm that continues to produce heavy rains. One of our chief concerns before Irene made landfall was the possibility of significant flooding and widespread power outages. And we’ve been getting reports of just that from our state and local partners. Many Americans are still at serious risk of power outages and flooding, which could get worse in the coming days as rivers swell past their banks. A Weakened Irene Sweeps Northward: Having cut a path of destruction from the Outer Banks of North Carolina to the eastern tip of Long Island that killed at least 16 people in six states and caused an unprecedented shutdown of the transit systems in Philadelphia, Boston and New York, Hurricane Irene quickly lost her ferocity as she moved into New England on Sunday, leaving blue skies and an army of clean-up crews in her wake. Though downgraded to a tropical storm at around 9 a.m., Irene still wreaked havoc along the Eastern Seaboard: rail and airline service in the Northeast remained paralyzed, and hundreds of thousands of people were without power. But the storm ended up falling far short of the historic disaster that many people had feared. However, President Obama, in a televised address from the Rose Garden at around 5 p.m, cautioned “This is not over.” Irene, he said, remains a “dangerous” storm, even in its weakened state, and many communities would see flooding in the days ahead. Obama on Irene: ‘This is not over’: Despite Tropical Storm Irene’s weakened punch, President Barack Obama urged those in its path to stay vigilant and warned that the storm’s impact would continue to be felt for some time. “This is not over,” Obama said in a Sunday afternoon statement from the Rose Garden. Irene Moves On: Millions Without Power, 14 Dead: Irene, downgraded from a hurricane to a tropical storm, swept through the Northeast today, leaving at least 14 dead in its wake, millions without power and an estimated $7 billion to $13 billion in damages. Irene made landfall in Coney Island, N.Y., at 8:45 a.m. this morning as a tropical storm with 65 mph winds, but by 10 a.m. patches of blue sky and sunshine began peeking through in lower Manhattan. Philadelphia experienced significant local flooding in several areas, but subways, elevated trains and bus service in the city were beginning to return to activity. 4M without power as Hurricane Irene heads north: More than 4 million homes and businesses were without power Sunday morning as Hurricane Irene continued to roar up the East Coast and took aim at the New York City area and New England. Winds of up to 115 miles per hour whipped across the Eastern Seaboard, ripping power lines from poles and snapping trees in half. Hospitals, emergency call centers and other crucial facilities were holding up, but officials said it could get much worse as Irene churns north. More than 1.3 million of the homes and businesses without power were in Virginia and North Carolina, which bore the brunt of Irene’s initial march. Maryland, Delaware and Washington, D.C. had about three-quarters of a million outages combined. Irene Shifts Toward Northeast, Millions Without Power: 3:10 p.m. ET | At least 300,000 in Massachusetts are without power as a weaker Irene moves over the Northeast. Irene is being blamed for 15 deaths in six different storm-affected states. Of the Big Cities, Philadelphia Is Hard Hit: Having cut a path of destruction from the Outer Banks of North Carolina to the eastern tip of Long Island that killed at least 10 people in six states and caused an unprecedented shutdown of the transit systems in Washington, Philadelphia and New York, a weakened but still ferocious Hurricane Irene, now downgraded to a tropical storm, set its sights on a battened-down New England late Sunday morning. Quebec, Maritimes in path of Irene’s heavy winds, rain: Nova Scotians should prepare for heavy winds while Quebec is on track for serious downpours when Hurricane Irene is scheduled to hit Canada Sunday as a post-tropical storm. Eastern Quebec – including Quebec City, Sherbrooke, and the Eastern Townships – and northwestern New Brunswick will receive the worst of Irene’s rainfall, with 50 to 100 mm of rain expected. Western Nova Scotia and areas around the Bay of Fundy, meanwhile, have a tropical storm warning and will see wind gusts of up to 120 km/h. Millions without electricity, billions in damages after Irene hits New York: Tropical Storm Irene unleashed furious wind and rain on New York on Sunday and sent seawater surging into the Manhattan streets. But the city appeared to escape the worst fears of urban disaster — vast power outages, hurricane-shattered skyscraper windows and severe flooding. “My hope is that … we will have less damage than we might have. Let’s all just hope for that.” — Governor Deval Patrick said this morning in an interview with WCVB-TV. Irene arrives as tropical storm; 300k lose power: No longer a hurricane but still packing a powerful punch, Tropical Storm Irene arrived in Massachusetts this afternoon, dumping torrential rains and sending streams over their banks, pounding the shoreline with relentless waves, and toppling tree limbs and power lines, leaving more than 300,000 people without power. Fallen trees from Hurricane Irene kill four in Virginia: Hurricane Irene killed four people in Virginia on a destructive path that affected half the state’s land mass and two-thirds of the population, Governor Bob McDonnell said on Sunday. Irene Sweeps Through New York: Tropical Storm Irene swept through the New York City area on Sunday morning lacking anywhere near the force that had been feared, but still causing some deaths, cutting power to more than a million people, toppling trees and flooding some parts of the city and its suburbs. Though the storm packed strong winds and heavy rain, it never dealt the kind of punch that prompted area officials to order unprecedented evacuations. In much of New York City, people awoke anxious that they would see destruction out their windows, only to find a scene more typical after a major summer storm. But while the city escaped without too much damage, its suburbs appeared not to have fared nearly as well. Wide swaths of Long Island, Westchester County, New Jersey and Connecticut faced blackouts on Sunday, plus blocked roadways and the prospect of further flooding. Our thoughts and prayers are with those who’ve lost loved ones and those whose lives have been affected by the storm. You need to know that America will be with you in your hour of need. The President thanked the Department of Homeland Security, FEMA, state and local officials and the many volunteer organizations who worked tirelessly over the past several days, noting that the advance planning has saved lives and property. Moving forward, he said that FEMA will be working with state and local responders to assess damage and assist in the recovery. PRESIDENT OBAMA: Good afternoon, everybody. I’m joined today by my Secretary of Homeland Security, Janet Napolitano, and Administrator of FEMA, Craig Fugate, to provide a brief update on our ongoing response efforts to Hurricane Irene. As I’ve told governors and mayors from across the affected area, if they need something, I want to know about it. We’re going to make sure that we respond as quickly and effectively as possible. And we’re going to keep it up as long as hurricane season continues. I want to thank scientists who provide the information necessary for governors and mayors to make sound decisions, disaster response experts who made sure we were as prepared as possible, to National Guard members and first responders who risked their lives to ensure their fellow citizens’ safety—all ordinary Americans who love their country and volunteered to do their part. NAPOLITANO: Thank you. Thank you, Mr. President. And I’d like to echo the President’s comments about the ongoing threat from Hurricane Irene. We will be dealing with the impacts of this storm over the coming days, and I urge all Americans to take prudent steps to stay safe. FUGATE: Well, thank you, Mr. President and Secretary. When you look at these disasters, a lot of times you try to find a place of damage that tells everybody the story about what’s happened. But in this hurricane that’s hard to do because I’m pretty sure most of you forgot Puerto Rico and the Virgin Islands were first impacted, and we had people who lost their homes and are currently dealing with recovery in Puerto Rico. And now we repeat that process in North Carolina, Virginia and up the coast as flooding is still ongoing. When a disaster comes off the news and nobody is paying attention, we still don’t go home. We’re still working hard across this country, from tornadoes and floods that have already struck this country as well as to new damages. And that’s part of the mission we have at FEMA, to work with our state and local partners, to work with the private sector, volunteer and faith-based community, but most of all, as the Secretary and President said, the American people who we work for. We’re there for the survivors. We’ll be there through the length of these disasters. And, again, we’re not going home just because it won’t be on the news. We’ve now got a lot of work ahead of us and we’re going to be there to support local communities and states as they begin the recovery. PRESIDENT OBAMA: Okay. Thank you very much, everybody. Craig and Janet will continue to keep everybody posted throughout the week. As we have already said, there are a lot of communities that are still being affected. We are particularly concerned about flooding because the continuing rains can end up having an impact well beyond the immediate center of the storm. And so we’re going to continue to monitor that carefully. Assessments are already being done in North Carolina and Virginia. There are still search and rescue teams that are operating throughout the region. And we will continue to keep the American people posted throughout our efforts not only with respect to response but also with respect to recovery. So thanks very much, everybody. Edge of Hurricane Irene reaches New York City: In a press conference late Saturday night, Mayor Michael Bloomberg said it was no longer safe for New York City residents to remain outside or to evacuate. Hurricane Irene, which has drenched the mid-Atlantic states as it has moved north, caused New York City to order about 370,000 residents of low-lying areas to leave. It was the first evacuation order for the city. The city also shuttered its transit system and closed its airports. Hurricane Irene bears down on Virginia Beach: After slowly making its way up the East Coast, Hurricane Irene is now bearing down on Virginia Beach and other parts of eastern Virginia. Conditions: The region is encountering the windiest period of the storm from now into the overnight hours, with National Airport reporting sustained winds of 29 mph and gusts of 40 mph. As the onslaught of rain continues, the National Hurricane Center reports water levels rising in the Virginia tidewater region. Power outages: More than 6,500 homes and businesses in D.C. are without power, 15,000 in Prince George’s County, 10,000 in Anne Arundel and 5,000 around Baltimore. Expect these numbers to rise as gusts whip through the area overnight. Transportation: The Bay Bridge was ordered closed at 7:35 p.m. Saturday due to severe winds and unsafe driving conditions, the Maryland Transportation Authority said. As Hurricane Irene slams East Coast, travel woes mount: Nationwide: There were an estimated 9,000 flight cancellations nationwide, with United, Continental and Delta Air Lines canceling thousands of their flights. Air France, British Airways and other international carriers also canceled flights. Washington: The three airports serving the Washington area remained open Saturday evening, but most flights had been canceled. D.C. Metro is not planning to close early. Virginia: Mandatory evacuations were ordered for at least 11 localities, among them the Sandbridge section of Virginia Beach, a barrier island dotted with rentals, Accomack on the Eastern Shore, and for low-lying areas of Norfolk, Hampton and Portsmouth. Maryland: Mandatory evacuations ordered for Ocean City, coastal Worcester County, homes near cliffs in Calvert County. Maryland Transit Administration announced service suspension beginning Saturday evening. New York: All three of the major airports serving New York City — Newark International Airport, John F. Kennedy International Airport and LaGuardia International Airport — shut down for the duration of the storm on Saturday afternoon. Subways have also been halted. New Jersey: New Jersey Transit trains and buses to shut down. Pennsylvania: Mass transit serving Philadelphia and its suburbs to halt at 12:30 a.m. Sunday. Hurricane Irene makes landfall; rains start in the Washington area: Hurricane Irene made landfall as a Category 1 storm at 7:05 a.m. Saturday near Cape Hatteras, N.C. The storm leading edge arrived in the Washington area early Saturday with rain starting in the lower parts of the Chesapeake Bay and the beaches of Delaware after wind and rain battered the North Carolina coast. The East Coast of the United States continued to prepare for the storm late Friday, ordering more than a million people to evacuate the affected areas. For more information, please visit the National Hurricane Center website at http://www.nhc.noaa.gov/, the AccuWeather Hurricane Center website at: http://hurricane.accuweather.com/hurricane/index.asp and the Storm Central graphics page at: http://centralstorm.wordpress.com/. PRESIDENT BARACK OBAMA: I cannot stress this highly enough: If you are in the projected path of this hurricane, you have to take precautions now. Don’t wait. Don’t delay. We all hope for the best, but we have to be prepared for the worst. GOV. BEVERLY PERDUE, D-N.C.: As governor of the state, I want to remind you once again that this hurricane is real. It is headed our way. We are ready. We’re prepared for the worst. And we continue to pray for the best. I urge every citizen along the coastal plains to evacuate. It is so much better to be safe than sorry. SECRETARY OF HOMELAND SECURITY JANET NAPOLITANO: Given the amount of rain associated with this storm and the likelihood of flooding, however, I would encourage you not to focus too much on whether it’s a Category 2 or a 3. If you are in the storm path, you won’t be able to tell much difference. MICHAEL NUTTER, (D) mayor of Philadelphia: Be prepared. Stay safe. Be smart. Evacuate, if necessary. Otherwise, please stay inside. GOV. CHRIS CHRISTIE, R-N.J.: So, if for some reason you were thinking about going to dinner in Atlantic City tonight, forget it. Go someplace else. MICHAEL BLOOMBERG, (I) mayor of New York: Now, we have never done a mandatory evacuation before. And we wouldn’t be doing it now if we didn’t think this storm had the potential to be very serious. The best outcome would be if the storm veers off to the east and doesn’t hit us, or doesn’t hit us hard. But we can’t depend on Mother Nature being so kind. GOV. LINCOLN D. CHAFEE (RI): I have been monitoring the path and movement of the storm closely, and there is no doubt that Rhode Island will be hit with high winds, a storm surge, and rain generated by Hurricane Irene. This declaration of emergency is a proactive step in our hurricane plan to ensure that we as a state are doing all we can to get Rhode Island through this storm safely and securely. I want to stress that this is a major storm. Individual preparation is essential. Please take the necessary steps to secure your family and property and prepare to evacuate if your municipality issues an evacuation order. I am in close contact with mayors and town managers to ensure that cities and towns have the state support they need to make the best decision for their residents. Hurricane Irene Pushes North With Deadly Force: Weakened but unbowed, Hurricane Irene mowed across coastal North Carolina and Virginia on Saturday as it churned up the Atlantic Seaboard toward a battened-down New York City, where officials had taken what were called the unprecedented steps of evacuating low-lying areas and shutting down the mass transit system in advance of the storm’s expected midmorning arrival on Sunday. With Storm Near, 370,000 in New York City Get Evacuation Order: New York City officials issued what they called an unprecedented order on Friday for the evacuation of about 370,000 residents of low-lying areas at the city’s edges — from the expensive apartments in Battery Park City to the roller coaster in Coney Island to the dilapidated boardwalk in the Rockaways — warning that Hurricane Irene was such a threat that people living there simply had to get out. With Katrina in Mind, Administration Says It’s Ready for Irene: Determined to avoid any comparisons with the federal government’s failed response to Hurricane Katrina, the Obama administration made a public display Saturday of the range of its efforts to make sure officials in the storm-drenched states had whatever help they needed from Washington. Obama visits FEMA, predicts a ‘long 72 hours’ ahead: President Obama made an unannounced visit to the Washington headquarters of the Federal Emergency Management Agency on Saturday afternoon, where he praised the federal government’s response to Hurricane Irene after receiving briefings from governors and emergency managers. One million flee Jersey shore as surfers hit waves: More than a million people fled resort towns along the New Jersey shore ahead of powerful Hurricane Irene, whose arrival on Saturday was just hours away. Mandatory evacuations covered all of the state’s barrier island beach resorts, including such well-known and popular spots as Atlantic City, Cape May and Long Beach Island. Irene makes landfall in N.C.; 4 deaths reported: Hurricane Irene made landfall on the Outer Banks of North Carolina about 7:30 a.m. ET Saturday morning, losing some power but still whipping up sustained winds of 85 mph, as it continued its run up the Eastern Seaboard. The National Hurricane Center said the eye of the enormous Category 1 storm passed over Cape Lookout, with winds slipping a bit from 100 mph overnight, but warned Irene would remain a hurricane as it moves up the mid-Atlantic coast. Hurricane Irene Path: Atlantic Beach & Cape Fear Take First Hit in North Carolina: Hurricane Irene has made landfall near Cape Fear as a Category 1 with winds at 85 miles per hour, down 15 miles per hour from the 11 p.m. ET advisory. Hurricane Irene Makes Landfall; Moves North, Gathering Strength: By noon, about 438,000 residents were without power in North Carolina and Virginia, and winds and rain were picking up in the Washington, D.C. area, and in beaches stretching from Virginia to Delaware. Two deaths, both in North Carolina, have been blamed on the storm, CNN reports. Hurricane Irene churns up East Coast; Virginia boy, 11, is killed by fallen tree: The howling Hurricane Irene churned up the East Coast on Saturday afternoon, battering buildings, knocking out power lines and toppling trees. An 11-year-old Virginia boy was killed after a tree fell on his family’s apartment. “This is a storm where, if you’re in the wrong place at the wrong time, it could be fatal.” — New York Mayor Michael Bloomberg said in a press conference Saturday afternoon. New York Subways Are Shut Down as Hurricane Irene Nears: New York became a city without one of its trademarks — the nation’s largest subway system — on Saturday as Hurricane Irene charged northward and the city prepared to face powerhouse winds that could drive a wall of water over the beaches in the Rockaways and between the skyscrapers in Lower Manhattan. The city worked to complete its evacuation of about 370,000 residents in low-lying areas where officials expected flooding to follow the storm, and Gov. Chris Christie of New Jersey said that more than a million people had been evacuated, mainly from four counties in the southern part of the state. New York shuts down ahead of Hurricane Irene: Times Square emptied out and evacuation shelters filled up as New York City shut down on Saturday ahead of Hurricane Irene, which charged up the East Coast on a direct path toward the world financial capital. Where should the media draw the line between reasonable warnings and fear-mongering? A few mistakes and a partially missed prognosis aren’t necessarily proof that the media blew the story. On one 24-hour news channel, a correspondent described the calm before hurricane Irene as the calm before a B-movie zombie attack. One anchor proclaimed the storm to be “as big as Europe.” Elsewhere, the hurricane was touted as the storm of a lifetime. Storm hype is of course nothing new, neither is saying overwrought things when trying to fill up hours of airtime. Irene expected to hit Canada with heavy rain and winds: The path of hurricane Irene remained unchanged Saturday, meaning the massive storm would likely bring heavy rain and the potential for hurricane force wind gusts when it reached eastern Canada later in the weekend forecasters said. The Canadian Hurricane Centre in Halifax said the Category 1 hurricane was centred off North Carolina early Saturday and was expected to move up the eastern seaboard of the United States and through Long Island and into Maine late Sunday, before entering eastern Canada as a tropical storm. History Q&A: How Many Hurricanes Have Hit New England Before Hurricane Irene? SUFFOLK COUNTY HISTORICAL SOCIETY COURTESY PHOTO | The Main Street fish markets in Greenport after the 1938 hurricane. HOW MANY HURRICANES IN HISTORY HAVE HIT THE NORTHEAST? Hurricanes Bob in 1991, Gloria in 1985, and Donna in 1960 reached the Northeast. The 1938 storm called “The Long Island Express” or “The Great Hurricane of 1938” killed hundreds of people in New England. Irene conjures memories of ‘great’ storm of 1938: It’s been nearly 73 years since the so-called Great New England Hurricane — one of the most powerful and destructive storms ever to hit southern New England. The storm now bearing down on the Northeast, Irene, has drawn comparisons to the one from way back then which, according to the National Weather Service, killed nearly 600 people and injured 1,700. About 8,900 houses across southern New England were destroyed. More than 15,000 others were damaged. It brought its wrath first to New York’s Long Island, then to Milford, Conn. It sped northward at 60 miles an hour. Tides were already higher than normal — as they are now with Irene headed this way. Meteorologists stay course through storm of criticism: WCVB-TV (Ch. 5) chief meteorologist Harvey Leonard recalled the deadly hurricane of 1938 — the worst natural disaster ever to hit New England. “Six hundred people died. Five-hundred died on the south coast of New England, primarily southern Rhode Island, without knowing what hit them. Hurricane Irene: Ghosts (technically, video) of hurricanes past: Looking for something hurricane-ish to watch — but perhaps something that doesn’t suggest actual threat to loved ones? How about some video from the legendary Great Hurricane of 1938, aka the Long Island Express, aka The Yankee Clipper? That storm hit Long Island in September 1938 before making its way into Manhattan and then farther up the coast into Rhode Island, New Hampshire, Maine and Quebec. New England hurricanes have been memorable: One of those, the infamous 1900 Great Galveston Hurricane, is No. 1 by far on the list of the nation’s deadliest hurricanes. With an unthinkable toll of 8,000 deaths, it will almost certainly hold on to first place for a long time. (Florida’s Lake Okeechobee storm of 1928 is a distant second, responsible for 2,500 deaths). As for Northeast hurricanes, the deadliest and most damaging was the so-called “Long Island Express” – the New England Hurricane of 1938 – a Category 3 storm that took more than 600 lives, including one in Nashua. It was 1938, and few believed the fishermens’ warnings: Few believed the local fishermen who warned such yellow and red skies meant a major storm was on the way. There were no National Weather Service advisories or evacuation plans. It made landfall with little warning and with sustained winds of up to 130 miles per hour, strong enough to be classified as a Category III storm today. The storm killed more than 600 people, injured more than 700 others and caused $308 million in property damage (an estimated $6 billion today), destroying and damaging thousands of homes. It will 73 years ago next month when the epic hurricane that would later come to be known as the New England Hurricane of 1938 — aka the Long Island Express because of its unusual speed — blew through eastern Long Island and New England, leaving death and devastation in its wake. Irene Evokes Great Hurricane of 1938 That Left 500 Dead in U.S. Northeast: The projected path of Hurricane Irene evokes a 1938 storm that left more than 500 dead after crossing Long Island, destroying the village of Montauk and battering Connecticut and Rhode Island. The Great New England Hurricane of 1938 was one of the most destructive and powerful ever to strike the region, according to the National Oceanic and Atmospheric Administration. 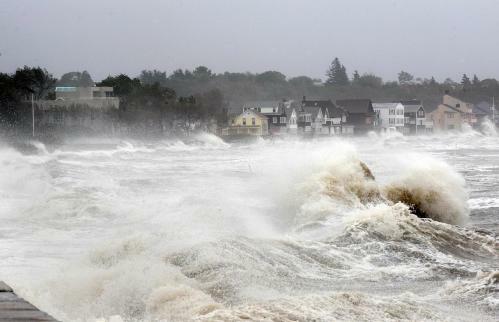 It made landfall in Milford, Connecticut, about 75 miles north of New York City, on Sept. 21, producing peak gusts of 186 miles per hour and tides as high as 25 feet on Cape Cod, the federal agency said on its website. The Great New England Hurricane of 1938: A storm formed in the eastern Atlantic near the Cape Verde Islands on September 4, 1938, and headed west. After 12 days, before it could reach the Bahamas, it turned northward, skimming the East Coast of the United States and picking up energy from the warm waters of the Gulf Stream. On September 21, it crashed into Long Island and continued its way north at a speed of 60 miles per hour, with the eye of the storm passing over New Haven, Connecticut. It didn’t dissipate until it reached Canada. The winds were strong enough that modern scientists place the storm in Category 3 of the Saffir-Simpson Scale. The Blue Hill Observatory outside Boston measured sustained winds of 121 miles per hour and gusts as strong as 186 miles per hour. The winds blew down power lines, trees and crops and blew roofs off houses. Some downed power lines set off fires in Connecticut. The Great Hurricane of 1938: According to the National Oceanic and Atmospheric Association (NOAA), the hurricane began near Africa during the second week of September in 1938, travelled across the Atlantic Ocean and up the east coast, made land fall in Long Island, New York, on Sept. 21. It terminated in southern Canada a day later. The hurricane moved at a brisk 60 to 70 mph, allowing it to travel from North Carolina to Long Island within an afternoon. Upon reaching landfall in New York, wind speeds were recorded at 121 mph and the water level rose a reported 10 to 12 feet. The Boston Weather Service Forecast Office reports that the Connecticut River reached a depth of 35.4 feet – 19.4 feet above its flood stage. The storm is said to have killed 564 people, according to NOAA. It injured more than 1,700, and caused $308 million in damage to the New England area – about $4.6 billion in 2009 dollars. Unconfirmed reports about the hurricane describe 20 foot storm surges, 190 mph gusts of wind, and six inches of rain falling in some parts of Massachusetts. EARTH MATTERS: Robert Miller Dr. Mel says Irene may be our hurricane: It was 1954. Carol, one of the most destructive hurricanes to hit New England, damaged more than 10,000 buildings. It caused $50 million in property losses in Connecticut and $3 million in crop damage; New Haven, Middlesex and New London counties were declared disaster areas. Cary Mock: Irene may be big, if not fiercest Northeast storm: Hurricane Irene’s sheer size will create a huge impact, even if it falls short of being an epic Northeast coast storm for the history books, a geographer and hurricane historian said on Friday. “It’s probably not going to be one of those where it’s the worst of the century,” Cary Mock, an associate geography professor at the University of South Carolina. “In New York and New England, just looking at the last 50 or 100 years is actually too small of a snapshot for a worst case scenario for hurricanes,” Mock said. But William Redfield, the “father of hurricane science,” observed the 1821 storm, Mock said. 1635 – The Great Colonial Hurricane struck Narragansett Bay on Aug. 25 as a possible Category 4 or 5. Details are sketchy, but the death toll is estimated near 50. 1683 – A unnamed tropical cyclone hit Connecticut and caused tremendous flooding on Aug. 23. 1693 – Another tropical cyclone struck New England in late October, causing flooding so great that new permanent inlets were created. 1769 – A hurricane that earlier caused great damage in Annapolis, Md., blew boats ashore in Boston, Providence, R.I., and Newport, R.I., on Sept. 8. Many houses were blown down and destroyed. 1778 – A late-season hurricane struck Cape Cod on Nov. 1, killing 50-70 people, 23 of them aboard the HMS Somerset III, a British ship that ran aground on the cape. 1782 – A rare “snow hurricane” battered New England on Oct. 18-19. It caused widespread damage, but unknown deaths. 1804 – Another, more severe snow hurricane on Oct. 9 dumped 2-3 feet of snow across the Northeast; causing nine deaths across New England. 1815 – The Great September Gale of 1815 struck New England as a major hurricane on Sept. 23-24. A huge storm surge funneled up Narragansett Bay, destroying some 500 houses and 35 ships and inundating Providence. At least 38 deaths were reported across New England. 1841 – The October Gale of 1841 dumped several feet of snow and sleet, wrecked the Georges Bank fishing fleet, drowned 81 fishermen, knocked down trees and destroyed homes, boats and the Cape Cod saltworks factory. 1904 – A September Category 1 storm brought significant marine destruction and heavy losses across Massachusetts Bay, Cape Cod and the islands. 1924 – A powerful Category 2-3 storm lashed the Massachusetts south coast, Cape Cod and the islands, and then New Hampshire and Maine. It’s considered in many places worse than the 1938 hurricane. 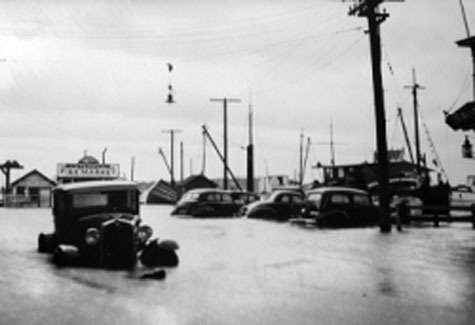 1927 – Torrential rains from a tropical storm caused record flooding across New England. Nearly 100 were killed, mostly in Vermont. 1936 – Heavy wind damage across most of the region was caused by a Category 1 hurricane on Sept. 18. 1938 – The Great New England Hurricane of 1938 struck as a strong Category 3 on Sept. 21. Wind gusts reached Category 5 strength in some areas. The anemometer at the Blue Hill Observatory registered a peak wind gust of 186 mph before the instrument broke. Significant damage was caused in the Nashua area, and one death was recorded. It killed more than 600 people overall. It’s considered worst New England storm of the modern era. 1944 – The Great Atlantic Hurricane landed as a Category 3 in southern New England on Sept. 15. There was severe wind damage in many areas, especially southeastern Massachusetts. The death toll was roughly 300; Archibald Dunlap was Nashua’s only fatality. 1950 – A major, intense, offshore hurricane labeled Hurricane Dog battered New England, especially southeastern Massachusetts. It was the largest of all Atlantic hurricanes to date, with sustained winds of 75 mph and gusts to 100 for extended periods. The death toll is unknown. 1954 – Hurricane Carol struck all of New England on Aug. 31 as a Category 3 with Category 4 conditions along the southern coast. It caused widespread, extreme damage. Sixty were killed; no deaths were reported in Nashua. 1954 – Hurricane Edna hit the region two weeks after Carol, and also was a Category 3 upon landfall. Severe losses were recorded in Cape Cod and the islands and along coastal Maine. It wasn’t as damaging as Carol in the Nashua area. 1960 – Hurricane Donna became the fifth major storm to hit New England in 22 years. It struck Sept. 12-13 as a Category 2-3 storm. High gusts were recorded across the region, with the worst damage in southern New England. The Nashua region suffered moderate damage. 1962 – Hurricane Daisy produced hurricane conditions in coastal areas and well into Maine in October; Mount Desert Island was affected significantly. 1963 – Hurricane Ginny followed almost the same path as Daisy. 1979 – Hurricane David, originally a Category 5 in the Bahamas, was a strong tropical storm when it reached New England in September. It spawned several tornadoes; some damage, but no deaths were reported in the Nashua region. 1985 – Hurricane Gloria became the first significant hurricane to hit inland New England since 1960. Widespread wind damage was caused in the entire region, especially the coast. Winds gusted over 100 mph in many areas. No local deaths were reported. 1991 – Hurricane Bob landed as a Category 2 in New England with wind gusts well into Category 3, one of the smallest yet most intense hurricanes to hit New England since 1938. It caused widespread damage and frequent destruction, especially in coastal areas. There was significant flooding, including tidal surges. No severe damage or deaths were reported in the Nashua area. 1991 – Hurricane Grace became the subject of the movie “The Perfect Storm” when she was labeled such by meteorologists after combining in late October with an offshore mid-latitude cyclone. 1996 – Hurricane Edouard brought offshore hurricane-force wind gusts from Buzzards Bay east across the Cape and islands. Considerable losses were incurred on the Massachusetts islands; Oak Bluffs and Martha’s Vineyard were particularly hard-hit. 1999 – Tropical Storm Floyd caused large power outages and flood damage across the region. Flooding, mudslides, and downed trees and power lines closed several major highways and countless local roads for days. 2010 – Hurricane Earl largely fizzled in early September; it passed about 90 miles offshore, bringing only heavy rain, large waves and tropical-storm-force gusts to Cape Cod. Hurricane Irene: The President has urged Americans to take this storm seriously. With the hurricane poised to reach the east coast this weekend, it is important to take steps ensuring your preparedness. We’ve compiled a list of helpful resources in case you are in the projected path of the hurricane. Libya: Following a call with the National Security Council, President Obama spoke about the evolving situation in Libya. 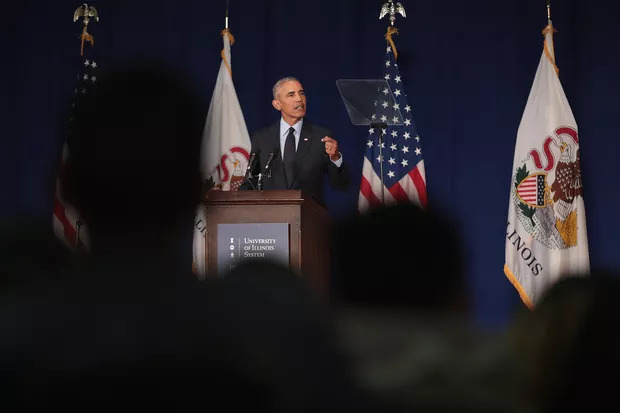 President Obama said, “The Qaddafi regime is coming to an end, and the future of Libya is in the hands of its people,” making it clear that the courage of the Libyan people has brought freedom within reach. Presidential Galleries: Visitors to the White House love to look at the archival photos that are featured in the halls of the East Wing. There’s a gallery of the Presidential pets, family life in the White House, Presidential vacations, and some of the Presidency’s most historic moments. Obama urges Americans to take Hurricane Irene “seriously”: Speaking from his vacation rental on Martha’s Vineyard, President Obama said, “all indications point to this being a historic hurricane.” “If you are instructed to evacuate, please do so,” he said. Don’t delay. We all hope for the best, but we have to be prepared for the worst. All of us have to take this storm seriously. You need to listen to your state and local officials, and if you are given an evacuation order, please follow it. Just to underscore this point: We ordered an aircraft carrier group out to sea to avoid this storm yesterday. So if you’re in the way of this hurricane, you should be preparing now. Visit Ready.gov or Listo.gov for resources on how you can prepare your families, home, and businesses for a hurricane. You can get the latest updates on the progression of Hurricane Irene at Hurricanes.gov. Now, since last weekend, FEMA has been deploying its Incident Management Assistance Teams to staging areas in communities up and down the coast. FEMA has millions of liters of water, millions of meals, and tens of thousands of cots and blankets, along with other supplies, pre-positioned along the Eastern Seaboard. And the American Red Cross has already begun preparing shelters in North Carolina and other states. These resources are all being coordinated with our state and local partners, and they stand ready to be deployed as necessary. But, again, if you are instructed to evacuate, please do so. It’s going to take time for first responders to begin rescue operations and to get the resources we’ve pre-positioned to people in need. So the more you can do to be prepared now — making a plan, make a supply kit, know your evacuation route, follow instructions of your local officials — the quicker we can focus our resources after the storm on those who need help the most. To sum up, all indications point to this being a historic hurricane. Although we can’t predict with perfect certainty the impact of Irene over the next few days, the federal government has spent the better part of last week working closely with officials in communities that could be affected by this storm to see to it that we are prepared. So now is the time for residents of these communities — in the hours that remain — to do the same. And FEMA and Craig Fugate, the director of FEMA, will be keeping people closely posted in the next 24, 48 hours. THE PRESIDENT: Good morning, everybody. I want to say a few words about Hurricane Irene, urge Americans to take it seriously, and provide an overview of our ongoing federal preparations for what’s likely to be an extremely dangerous and costly storm. I’ve just convened a conference call with senior members of my emergency response team and directed them to make sure that we are bringing all federal resources to bear and deploying them properly to cope not only with the storm but also its aftermath. I’ve also spoken this morning with governors and mayors of major metropolitan areas along the Eastern Seaboard to let them know that this administration is in full support of their efforts to prepare for this storm and stands ready to fully support their response efforts. And we will continue to stay in close contact with them. I cannot stress this highly enough: If you are in the projected path of this hurricane, you have to take precautions now. Don’t wait. Don’t delay. We all hope for the best, but we have to be prepared for the worst. All of us have to take this storm seriously. You need to listen to your state and local officials, and if you are given an evacuation order, please follow it. Just to underscore this point: We ordered an aircraft carrier group out to sea to avoid this storm yesterday. So if you’re in the way of this hurricane, you should be preparing now. If you aren’t sure how to prepare your families or your home or your business for a hurricane or any other emergency, then you can visit Ready.gov — that’s Ready.gov — or Listo.gov. That’s Listo.gov.